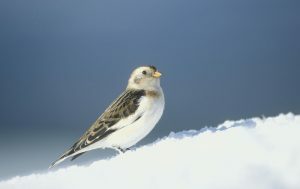 The snow bunting, as the name suggests, is a winter bird. 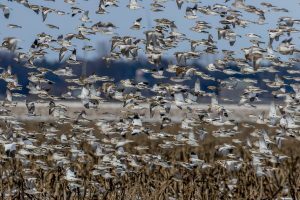 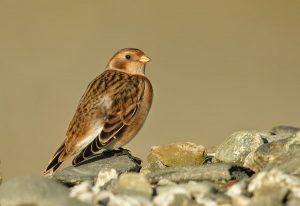 The migratory bird has crossed with other species like Lapland bunting. 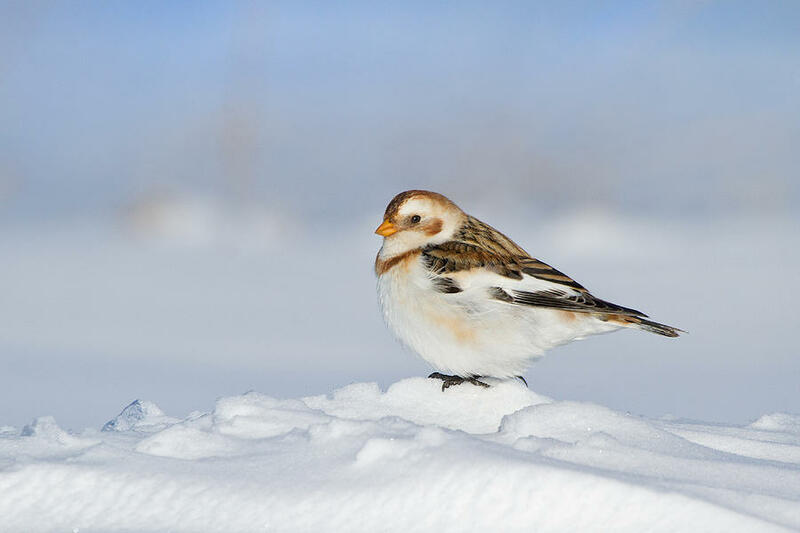 Snow buntings clean their feathers with hard-packed snow. 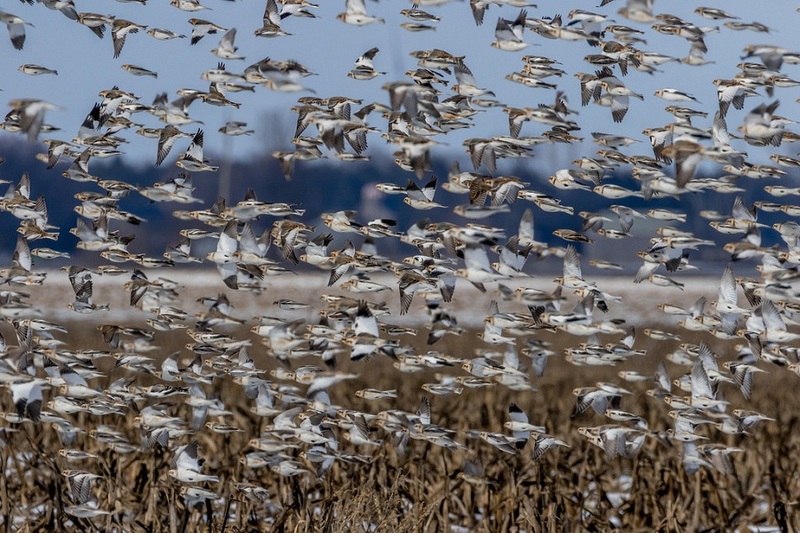 Male birds go to the breeding site at least 3-4 weeks before their counterparts to set up their nesting ground. 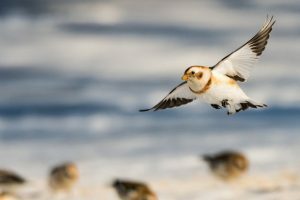 Male and female snow bunters both sing to catch each other’s attention. The male stops signing upon finding the mate. 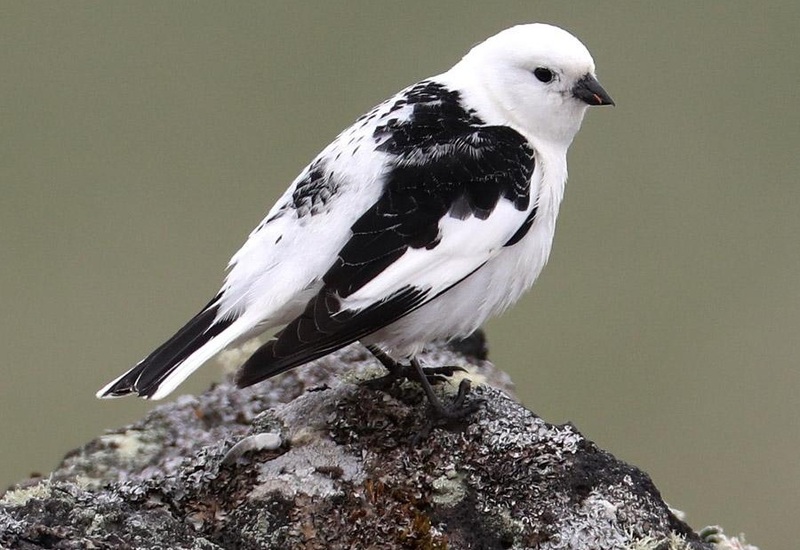 After the mating, females lay around 2-7 eggs which are incubated for 10-15 days. 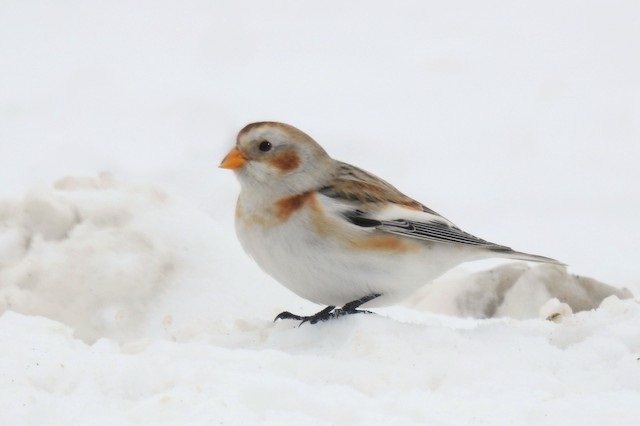 The eggs are cream colored with brown spots. 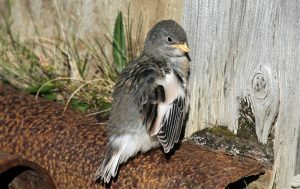 After the hatching, the juveniles take around 12-14 days before flying. Each male snow bunter has different vocalizations. The song of the birds is a parameter for judging who is going to be a better parent, as the singing capacity ensures better foraging capacity which is in again a condition for being a good parent. Snow bunters are known to spot Earth’s magnetic fields. 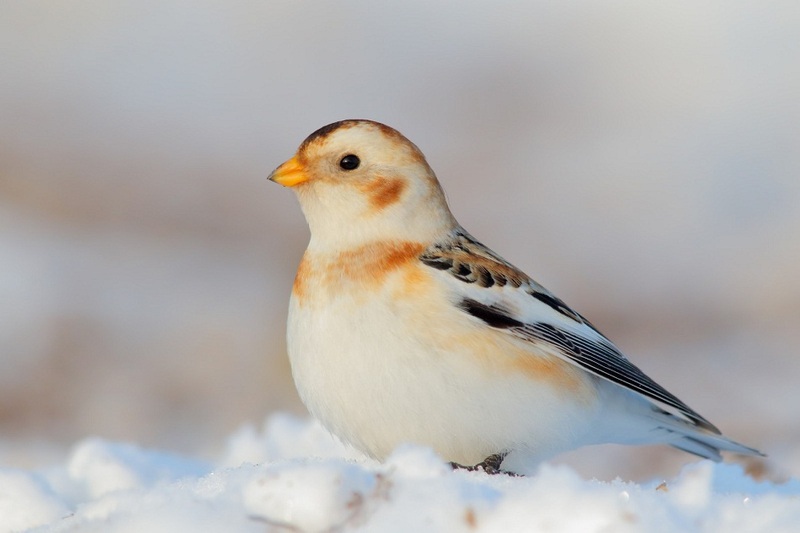 Due to some similarities snow buntings have with McKay’s bunting, the two species are commonly confused. Published on February 18th 2019 by Sahana Kanjilal under Coniferous Forest Animals. Article was last reviewed on 29th March 2019.